Bonjour! I was in Paris last week, and obviously one of the stops on my list was la pharmacie. Actually, pharmacies are a big deal in France. Not only is there one on practically every corner (designated by these huge, glowing green crosses) but there are two kinds of them: the pharmacie is the more common, basic, drug-dispensing version, but the parapharmacie is more like a French Shoppers Drug Mart, with all kinds of beauty products just waiting to be discovered. The cheapest and best one to go to is called City Pharma in Saint-Germain (26 Rue de Four). Due to a packed schedule, terrible cold, torrential downpour and the pressing need to buy Lanvin shoes and a Longchamp carry-on, I didn&apos;t make it all the way over there this time. 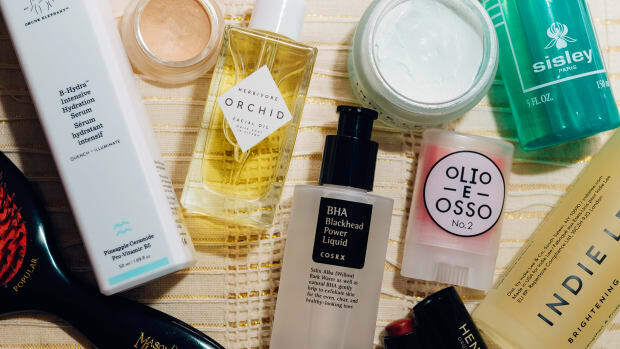 But that actually doesn&apos;t matter, because pretty much every single cult favourite French beauty product can be found—or at least ordered—right here at home. That&apos;s right! 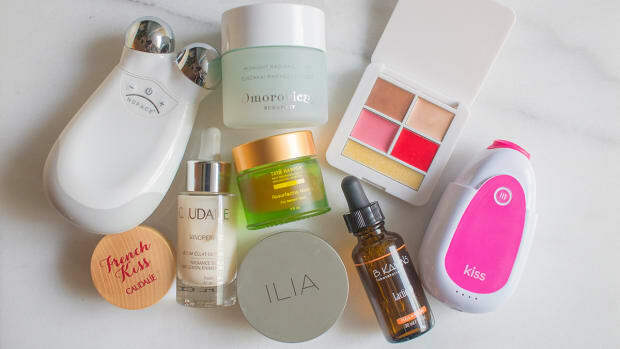 Here&apos;s my list of a whopping 15 French beauty buys that you previously couldn&apos;t get in North America... but now you can. In France, this is called Crealine H2O, but ever since it arrived here in Canada a few years ago, it&apos;s been labelled Sensibio H2O. No idea what either of those terms mean, but it&apos;s the same thing inside. Arguably the Rolls Royce of micellar cleansers, it&apos;s a favourite of makeup artists the world over because the no-rinse, soap-free, pH-balanced formula removes even waterproof makeup without irritating sensitive skin. I like it as a nighttime pre-cleanse step or for removing the day&apos;s makeup before re-applying for a night out. Everyone needs a bottle of this stuff in their beauty arsenal. Also available in a combination/oily skin version. Nuxe is another French brand that arrived in Canada in the &apos;00s, and there&apos;s no question that this guy is their star product. You might think a dry oil would only serve as a body moisturizer... but you&apos;d be wrong. You can use this 98.8 percent natural, silicone- and preservative-free oil on your body, hair and face to nourish, repair and add a subtle yet non-greasy glow. It&apos;s also reported to improve the appearance of stretch marks. I find the soft scent totally comforting, too. Facial mists are totally a French thing. 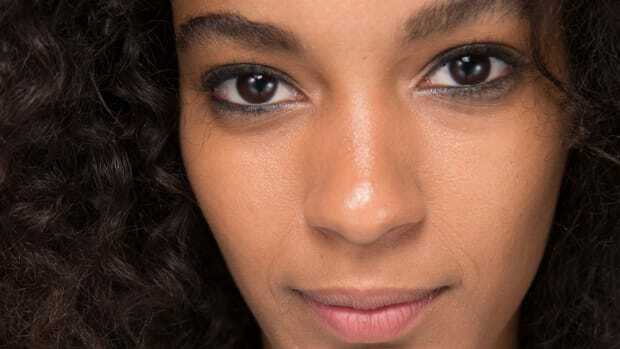 You can use them to hydrate your skin, set your makeup, cool you down... or, like beauty editors do, mist yourself when you&apos;re simply bored at your desk at work. (I&apos;m serious. All beauty editors do this.) If you haven&apos;t hopped on the facial misting train after I told you why (and how) you should use one, then Avène would be a great brand to start with. Theirs has a low salt content, so you don&apos;t need to worry about blotting it after you spray (which is important with some of them, otherwise they can dry you out). When you go to the beauty floor of the Galeries Lafayette (one of the top three department stores in Paris), amongst the Chanels and the Lancômes and the Diors there is a HUGE Leonor Greyl counter... which lets you know that this ain&apos;t no small-time brand in France. In fact, even though it&apos;s pretty much unheard of here, the brand has been around since the 1970s—and this multi-purpose hair oil is their most famous offering. You can use it as a pre-shampooing or overnight conditioning treatment; on damp hair to style or detangle; or on dry hair to tame frizz, soften or protect your colour from sun and chlorine. If my hair was coarse and frizz-prone instead of fine and straight, I&apos;d totally buy this. Apparently one Anthelios sunscreen is sold around the world every 15 seconds. And for good reason: La Roche-Posay was one of the first brands to offer both UVA and UVB protection in this sought-after formula that is also photo-stable (which means it doesn&apos;t degrade like others can in the sun). It&apos;s surprisingly non-greasy and absorbs quickly, so you can use it on face or body. Also? The French-Greek name reminds me of the summer I spent bopping around the beaches in France (Nice, Cannes, Antibes) and Greece (Corfu, Ios)... so there&apos;s that. I didn&apos;t use this then, but obviously I&apos;d slather it on now. I love the word "elixir." Doesn&apos;t it get you all excited that what you&apos;re about to try is some kind of Holy Grail of beauty? Well, this one lives up to its promises. Part-toner and part-serum, you can use it in the same way as the Avène spray to give your complexion a boost, tighten pores and smooth fine lines (yes please!) either before moisturizer or on top of makeup. Did I not say the French are all about facial mists? Plus, while most are formulated with thermal spring water, Caudalie&apos;s has extracts of grape, rosemary, orange blossom, rose, myrrh and organic balm mint. Remember how I told you all about the wonders of vitamin A—a.k.a. Retin-A—the other week? Well, Avibon is French vitamin A cream, and it&apos;s sold there over-the-counter, no prescription required. 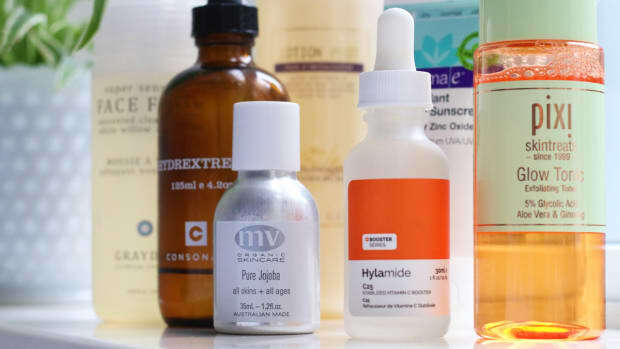 It&apos;s not as strong as Retin-A, mind you, and I don&apos;t have the command of the French language to figure out exactly how it compares to retinol (our OTC version of the ingredient). 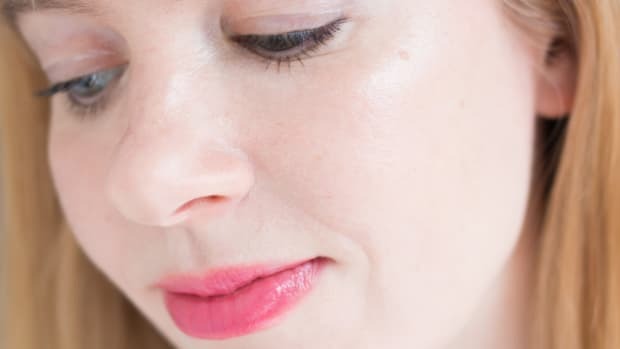 My hunch is that it&apos;s somewhere in between—and so if the full-strength stuff is too much for you, this would be a good option for harnessing the same wrinkle-smoothing, blemish-busting benefits. Where to find it: New London Pharmacy in NYC (in store or online), or online at Avibon.com. Sad face—this is the one product on my list I&apos;m kicking myself for not buying. Another makeup artist fave, it&apos;s a rich, concentrated, slightly medicinal cream that&apos;s packed with shea butter and aloe vera. You can use it as a moisturizer, but that&apos;s not all. It doubles as a makeup remover (Pond&apos;s Cold Cream style) and because it absorbs quickly, also works as a makeup primer. Dry shampoos have totally exploded (ha) within the past year or two, but Klorane&apos;s was one of the originals... and some would argue, still one of the best. What appeals about this one is its quality and purity: it&apos;s made to meet pharmaceutical-grade standards using the lowest number of (and most potent) ingredients like oat milk, corn and rice starch. If you&apos;re looking for a more pure, botanical dry shampoo-slash-volumizer, you can&apos;t go wrong with this French find. T. LeClerc&apos;s famous pressed powders were in Canada for a hot minute (at Ice, the now-closed up Toronto outpost of Kitson in L.A.), but in France the line has been around since 1881. This trip, I saw the full range at a couple of pharmacies (I don&apos;t even think they were parapharmacies), which makes sense given that it was created way back when by an actual pharmacist. Made from zinc oxide and finely milled rice powder, these portable compacts help set makeup, mattify shiny spots and thanks to the zinc, protect from the sun. Elnett is another one of those beauty products that everyone needs in their collection. And yes, it was a big beauty editor deal when, a few years back, you could finally buy it in Canada and the U.S. instead of having to smuggle it back in your suitcase. The reason: it gives you hold without the stickiness, which is no small feat. I&apos;ve had hairdressers do my hair on behalf of other hair care brands... and STILL pull out their Elnett at the end of the job, telling me it was superior to the one in the very collection they were repping. Doesn&apos;t that tell you something? Note: the smell can be a bit old lady-ish, so opt for the fragrance-free one if you can. Homeopathy is also a big thing in France, and this product, an ointment for soothing skin irritations, is homeopathic company Boiron&apos;s biggest beauty export. It goes on like a less greasy, more matte Eight Hour Cream, and can be used for similar skin woes: on dry patches, sunburns, chapped lips, cracked heels and ravaged cuticles. Plus, surprise! You can totally get it in Canada, just under the name Cicadermine. Where to find it: See here for retail locations. 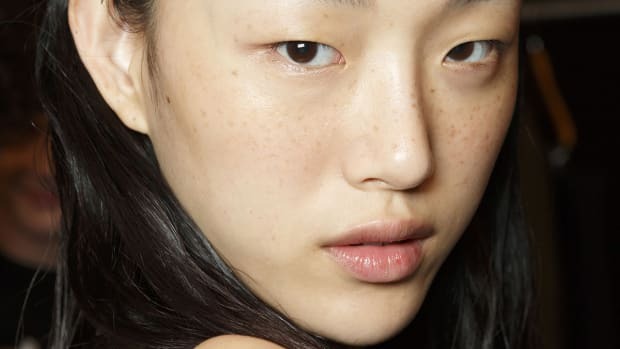 This spa brand has a range of serums that could more accurately be described as face oils—but don&apos;t let that scare you off. I LOVE face oils. They do more for my dry skin in the wintertime than any regular moisturizer could—and when it comes to skincare, you&apos;ve got to trust the French. (These woman are ALL about good skincare. You just don&apos;t see anyone walking around with caked-on makeup.) The neroli one is suitable for all skin types, smells like heaven, absorbs quickly so it&apos;s not greasy, and leaves your skin looking and feeling all hydrated and glowy. Say oui! Technically, I&apos;m not sure if you can buy this lip balm at the parapharmacie, because the only place I saw it was at the Bon Marché department store. Anyway—I&apos;ve missed it ever since I finished every last drop of my jar, because it was the most amazing, nourishing, lightly rose-scented tub of lip goodness I&apos;ve ever come across. (Probably Rodial&apos;s lip balm is the next closest thing, but it&apos;s much goopier.) Apparently By Terry now makes it in two versions: the original, and a new, shimmery format (which was all I saw at Bon Marché and therefore the reason I didn&apos;t snap it up). Ever been to a French pharmacy? 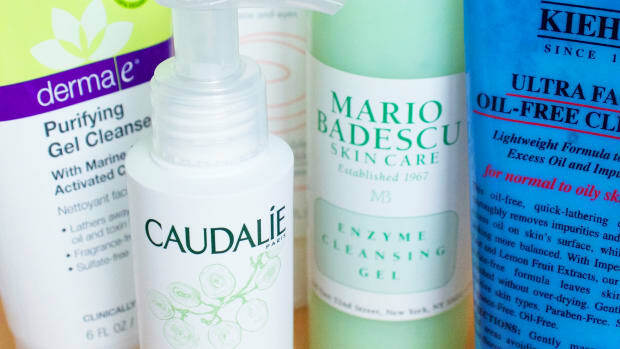 Have you tried any of these French beauty buys? What&apos;s your all-time favourite overseas beauty find?